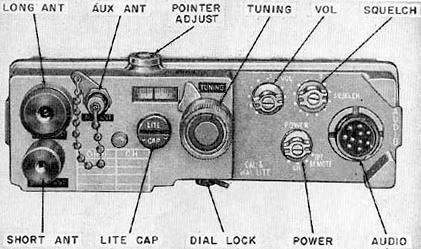 Radio set AN/PRC-9, frequency range 27.0 to 38.9 MHz, Super-Heterodyne FM Receiver / Transmitter. 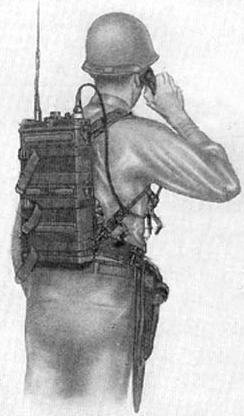 Man-Pack or Vehicular fixed station operation.1 Watt transmitter Output. Uses 16 miniature wire ended tubes. Power requirements 1.5V, 6V, 67.5V, 135V powered by BA-279 battery. 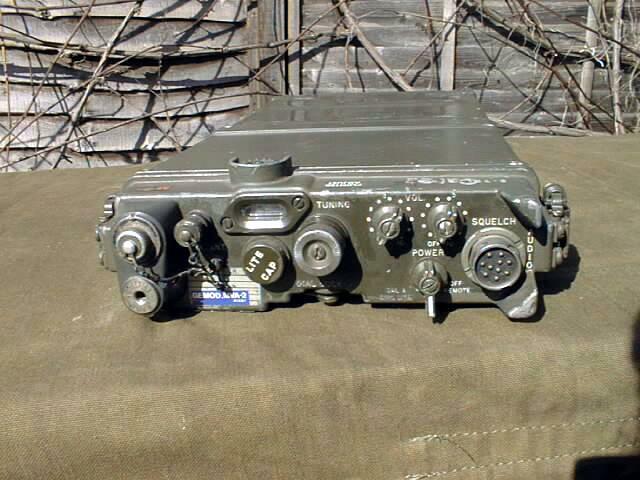 The AN/PRC-9 is part of a family of radios AN/PRC-8, AN/PRC-9, and AN/PRC-10 which were used as a squad radio by US Army in Korea and Vietnam Wars and by many NATO countries. Made in USA in 1950's and 60's, each radio had a different frequency range. These PRC-9's are supplied in good complete untested condition Grade 3 with a Battery Box which may be slightly corroded. No other accessories is supplied with the radio set. The H-33/PT Handset, antenna rod may be available separately.